Taking a page from Willis Reed's legacy, Chris Duhon cast aside his knee pain to toss a donut in a loss to the worst team in pro basketball. In 22 minutes, C-Du took and missed 4 shots, had as many assists as turnovers and never got to the line. I'm sure Duhon's teammates appreciate this inspirational gesture. Meanwhile, Andre Barrett is trying to remember why he was busted down to the D League. Meanwhile, Big Ben had another "fantastic" game against Al Jefferson, holding Baby Al to 26 and 20 on 50% shooting. I'm sure Boylan was able to find some more nice words for Wallace in his post-game comments. This offseason, look for Boylan and his thesaurus to spend some time on a resume. The short-handed Bulls had a nice win tonight over the TWolves at the United Center. In the post-game interview, Coach Boylan praised Ben Wallace's "fantastic" defense on Al Jefferson. Al was averaging 21 and 12, and had 20 and 12 tonight on 50% shooting. So, Wallace held Baby Al to his averages. Ben Wallace was also fantastic on the offensive end, going for 2 points on 33% shooting. I'm using the word "fantastc" correctly there, right? According to the Athletico Injury Report, Chris Duhon's knee continues to be a problem. "I'm shutting it down for at least a couple of games," Duhon said. "I'm hurting the team because I'm not as explosive as I can be." Apparently, Duhon's knee has been in trouble since he was drafted by the Bulls in 2004 as his explosiveness has not once been showcased at the NBA level. 5 points on 2 of 8 shooting, 3 assists to 2 turnovers and 1 rebound in 32 minutes. I'm surprised the Chicago Fire Department did not shut down the United Center after Duhon's flamethrowing. Please direct all comments and questions about this blog to staychisel @t gmail.com. 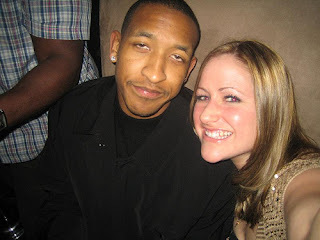 Please direct all boos to Chris Duhon.